No matter what time of year, it is always the right time for a cup of Dunkin Donuts Salted Caramel Hot Chocolate Goodness! delicious with a splash of salted caramel syrup. Dunkin Donuts is known for it;s coffee drinks but carries a variety of yummy beverages. Patrons can pick from iced coffees, iced teas, chai drinks, frozen (or blended) drinks and many more. 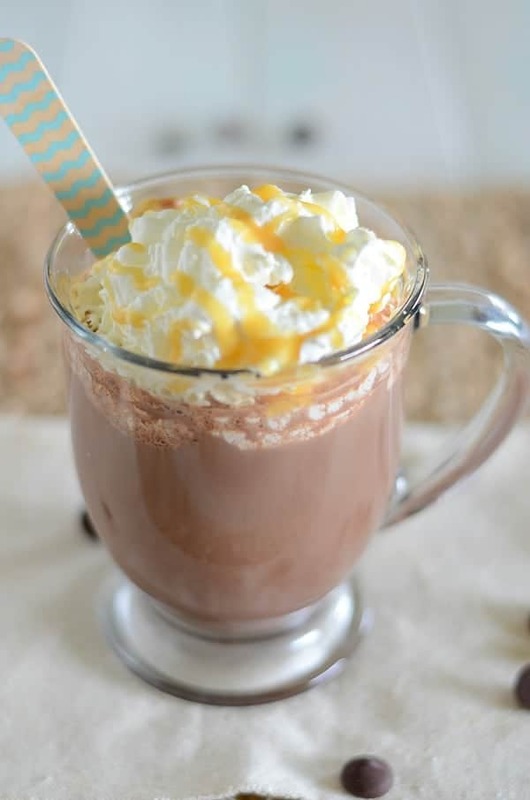 Their hot chocolates fall under their hot beverage category with drinks such as a vanilla chai, hot macchiato, hot tea and salted caramel hot chocolate. 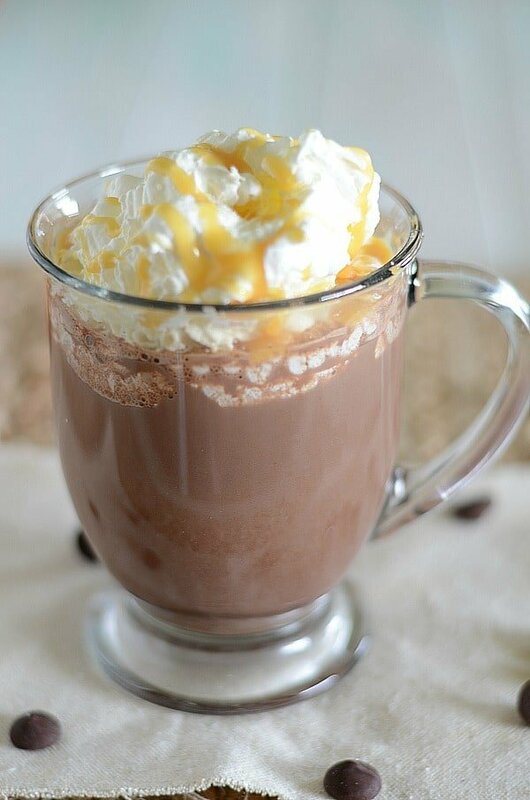 The great part about this salted caramel hot chocolate is that you can make it on the stovetop or in the microwave. Love your run to Dunkin Donuts? Be sure to check our other copycat recipes from Dunkin Donuts. You can make Dunkin Donuts Salted Caramel Hot Chocolate at home with this easy recipe. llow to cool slightly and enjoy! If you want to make it in the microwave you: Mix together the cocoa powder and sugar in a glass. Warm the milk and water in the microwave for 1 - 1 1/2 minutes. Pour the milk mixture over the cocoa powder. 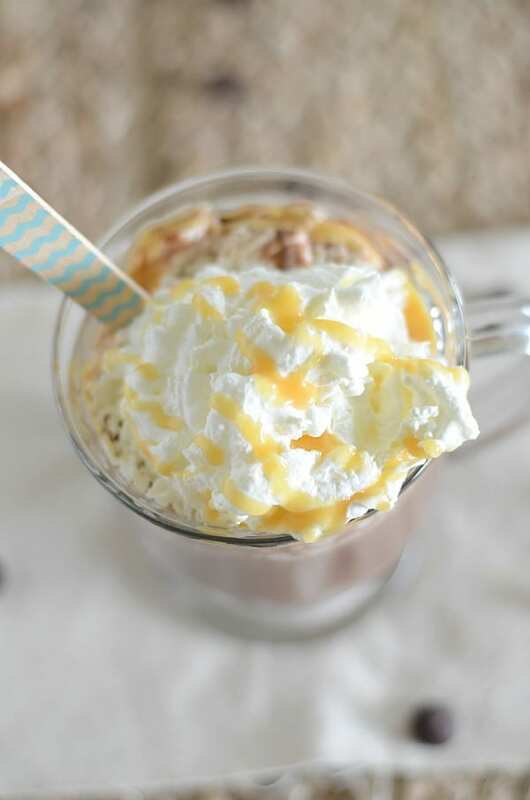 Add the salted caramel syrup to the glass top with whipped cream, caramel sauce and salt. Allow to cool slightly and enjoy! I know it’s summer, but I love hot chocolate anytime of year.